H. Rick Bamman - hbamman@shawmedia.com Direct Steel owner and president Rosemary Swierk (left) speaks with Marianne Markowitz, regional administrator of the U.S. Small Business Administration Wednesday, March 14, 2013. Direct Steel benefited from SBA’s counseling and technical assistance programs which enabled the company to grow and create jobs. H. Rick Bamman - hbamman@shawmedia.com Direct Steel owner and president Rosemary Swierk discusses Wednesday, March 14, 2013 how Direct Steel benefited from the U.S. Small Business Administration counseling and technical assistance programs. 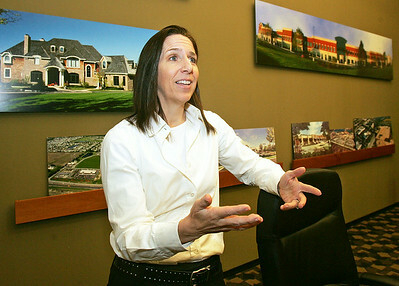 The program enabled Swierk to grow the company and create jobs.